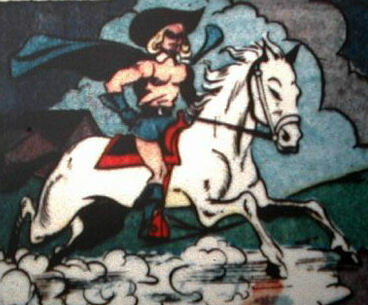 Powers/Abilities: Skilled horseman, good swordfighter. 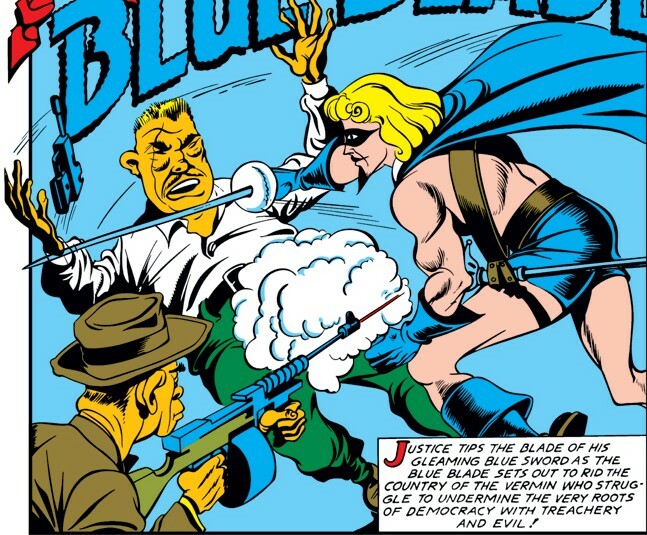 History: The Blue Blade was a musketeer-themed hero who fought the Japanese spymaster Sandai on the Western Coast of the U.S.A.
Blue Blade took part in the Allied invasion of occupied Europe, but alongside other heroes was captured by the Germans and placed in suspended animation. He has recently been revived. Comments: Though there is little hard evidence to back it up, beyond a general similarity in concept, there are those who argue that the Blue Blade is the same character as the Fourth Musketeer, simply renamed. However costumes, characterisations and the limited amount of background given for each don't support this. 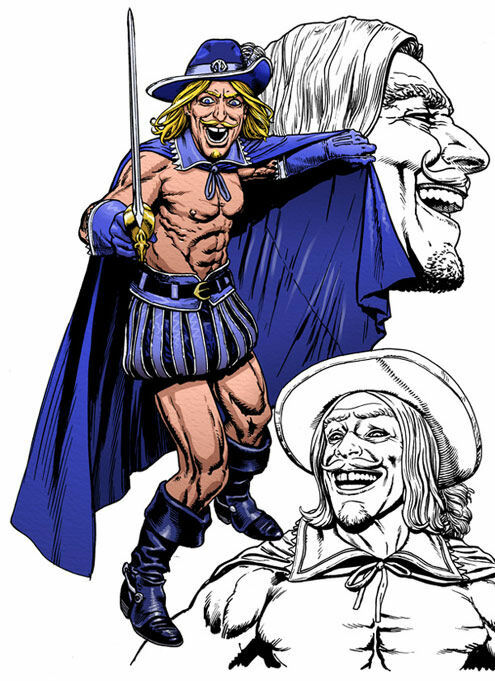 Blue Blade was revived as part of the Marvel mini-series "The Twelve" by J. Michael Straczynski.